Hampshire wicketkeeper-batsman Calvin Dickinson has signed a new contract with the county. 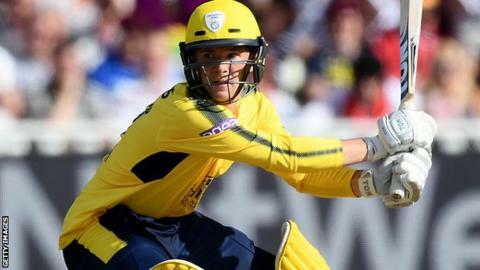 The 21-year-old broke into the first team in the 2017 season after an injury to Lewis McManus, featuring in the T20 Blast semi-final loss to Notts Outlaws. Pace bowler Chris Sole, 23, has also been handed a deal until the end of next season. Scotland international Sole is yet to make a first-team appearance following a hand injury last season.